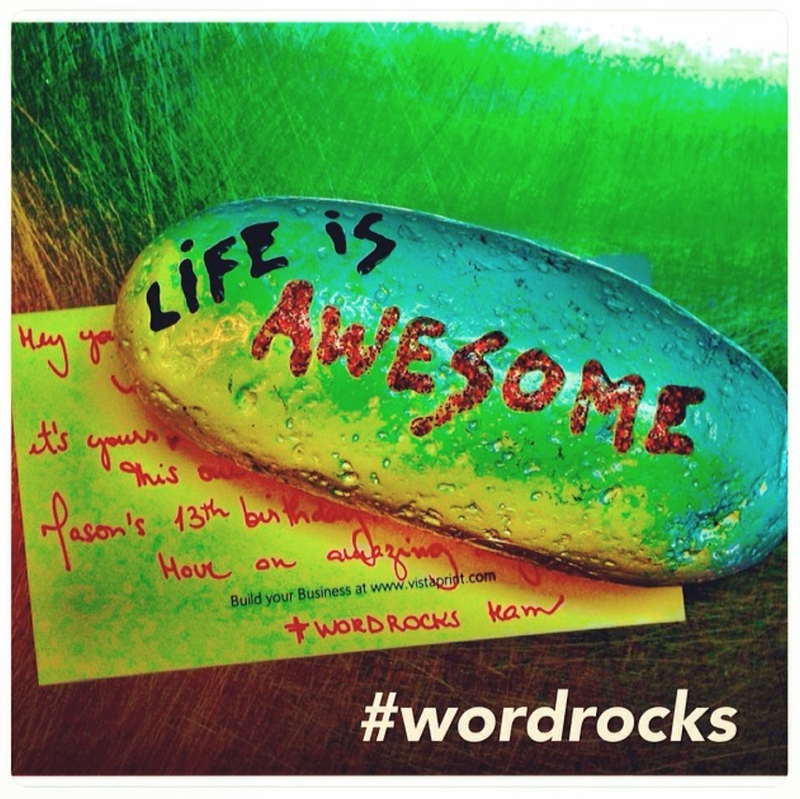 Life is awesome and should be celebrated. 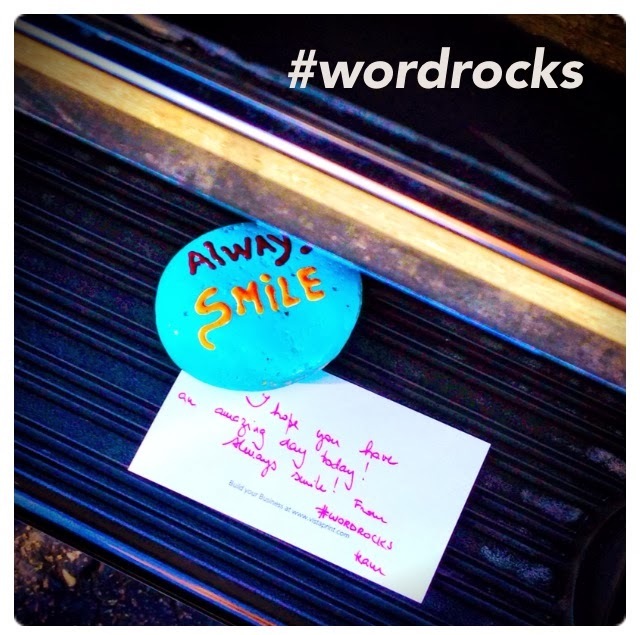 A @word_rocks placed in tribute to one of my son's friend who is celebrating 13 years old today. Happy birthday Mason! Normally I leave the rocks randomly. But this morning, after doing groceries at Target, I was getting into my car when a vehicle parked in front of mine. Then I saw a young mother and her cute kids. I could not resist and left this rock on the step.